As a suppressant for acute and chronic irritative cough of varied origin, as e.g. acute and chronic cough caused by illness of the respiratory tract. Youth over 12 years and adults: 1 tablespoonful of syrup 3 times daily. Occasionally may occur: sensation of dizziness, fatigue, weakness, dryness of the mouth and sensation of thirst; heartburn, gastro-intestinal disturbances and skin eruption. This medicament can, even in the prescribed dosage so much alter the reaction time, that the ability to drive or to work with-machinery is affected. For the time being, intake is not recommended during pregnancy and lactation period. 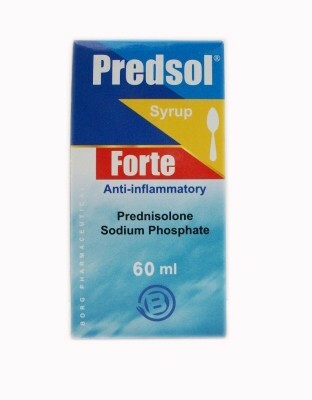 – Pectipro Syrup should not be used beyond the expiry date printed on the package. – Do not store above 30°C. 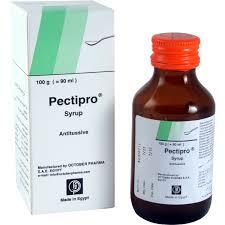 – Pectipro Syrup is also suited for diabetics. Carton box contains glass bottle of 100 gm with pamphlet.